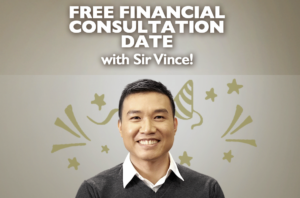 Win a financial consultation date with Sir Vince! 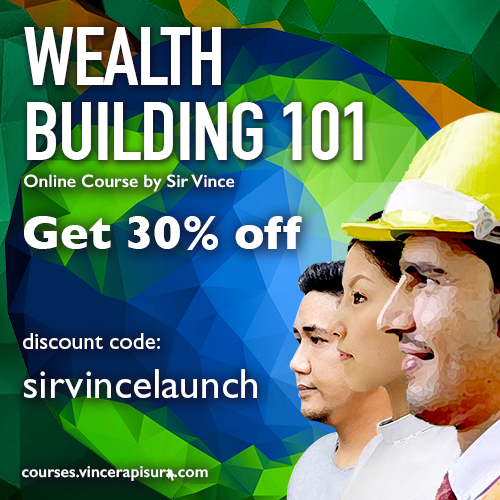 Sa birthday month ni Sir Vince, you can get a chance to have a financial consultation date with him. Ili-libre niya kayo with either breakfast, lunch or dinner* at an agreed upon date and place. The financial consultation will be done over a sumptuous meal which will last for about an hour. Aside from this, the lucky winners will also receive a signed copy of his book and a free pass to one of the online financial literacy courses na ilo-launch later this month. Share any video or blog post of Sir Vince from his Facebook page in your timeline. The financial consultation date invite will depend on the availability of Sir Vince given his work schedule. This is forfeited if the winner and Sir Vince cannot agree on a date and place to meet within three months upon announcement of the winner. An alternative for this is to meet via video call.